SNS nails are one of the newest trends in the nail world. Although you can get the nails applied and removed at a salon, isn’t it more convenient do it yourself at home? Removing SNS nails at home may seem like an intimidating task. You don’t want to damage your precious nails, but you also don’t feel like going to the nail salon to get them removed. Well don’t worry, here are the expert tips you need to safely remove your SNS nails at home. The newest manicure trend in salons are SNS nails. SNS stands for Signature Nail System. This is a brand name for a new type of dip powder manicure, but often other brands are referred to as SNS nails as well. It helps to strengthen your nails while still giving the appearance of a gel-like manicure. But unlike a gel manicure, the SNS nail system does much less damage to your nails. It also does not require the extra equipment of a UV or LED light to dry, making it gentler on your skin and natural nails. SNS nails are applied with a gel base and then dipped into a powder. This powder contains some organically processed ingredients. The powder is also infused with calcium and other vitamins, such as vitamin E, that are meant to help strengthen your nails. It also contains chemicals, such as benzoyl peroxide, titanium peroxide, and acrylic ester polymer. Although some dip powders claim to be “all natural,” currently no products are 100% natural. In fact, all of these ingredients combine help to give the nails strength. After being dipped in the powder, the nail hardens rapidly. The dip powder is thinner on the nail than other manicures; giving a natural, strong, and flexible appearance. The popularity of SNS manicures is driven by our everlasting search for a beautiful, long-lasting manicure that doesn’t damage the natural nail. The lightweight feeling of the SNS nails while still providing strength is a satisfying bonus. This type of dip powder manicure can last for up to 3 weeks without chipping, although your nails will typically grow out by this time. This is longer than most other manicures. They also only take a few minutes to apply, usually around a half an hour at the salon. 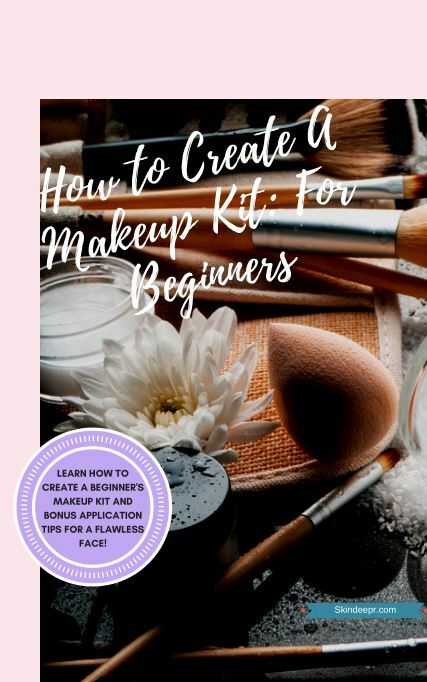 Once you get the hang of application you will also be able to apply it just as fast. It also requires little to no drying time. People have fallen in love with these manicures because it leaves their nails less brittle and damaged after removing, when compared to other nail systems. Another reason it causes less damage is that it requires less filing of your nails, which can cause stress and breakage to multiple parts of your nail (we have more on how to properly file down below). If you are concerned about UV radiation, remember SNS nails do not require that you expose yourself to these harmful rays. A study that was done at Georgia Regents University by their Department of Dermatology found that although the amount of UV radiation you are exposed to during one salon session is typically not dangerous, frequent visitors greatly increase their risk. In fact, it can take as little as eight UV light drying sessions to have enough potential to cause damage to your skin. If you are getting your nails done at a salon and they try to use a UV light, speak up because they are not giving you an SNS manicure. Whether you are at home or at the salon, the steps for applying SNS nails is a similar process. Buff your nails lightly. This will help everything to bond better to your nails. Glue the tips to the end of your nails and hold it for 30 seconds. Buff your tips and nails so they are the same density. This will help them to appear more natural and seamless. Shape your nails with your nail file to your desired length. Push back your cuticles carefully. Apply the base bonding solution to prep your nails. Apply the gel base to ¾ of the nail. Be sure to use a thin coat and avoid the cuticle. Using a thin coat will help to keep your manicure look as even and as thin as possible. Then dip into the colored powder of your choice. Lightly tap off any excess. Use the sealer to lock in the color. Repeat steps 7-9 once if you are only applying the powder on your natural nail. If you are using tips, repeat a minimum of 4 times if keeping at a medium length and 5 times if keeping at a long length. Once you have repeated the dipping process, apply a thin coat of the sheer sealer to set the nails. You can apply two coats of this products, but follow the direction of the particular kit you are using. Are you more of a visual learner? Check out this video here. Want to get a great manicure at home? Here are a few of our favorite kits to get gorgeous nails at home. 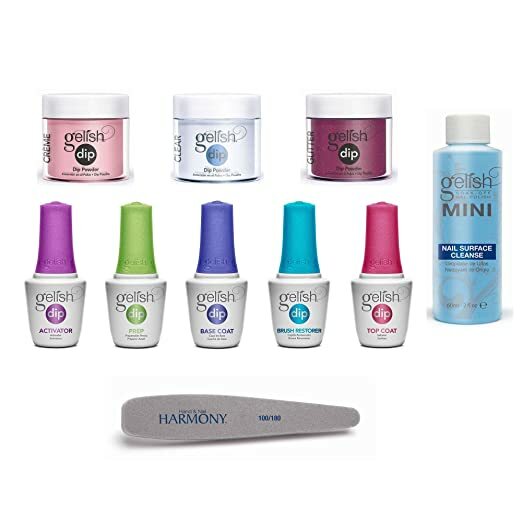 This kit includes everything you need to get your nails looking like you just stepped out of the salon. It comes with a primer, base, top gel, layering gel, activator, and brush cleaner. This kit also includes a cuticle oil to give your nails some TLC after you remove your SNS nails. There are also three powder colors included, pink, french pink, clear, white, and a fun silver glitter. Want to choose your own colors? No problem. This kit has all of the solutions that you need, but you don’t have to pay for a color that you aren’t really that into. It comes with a prep, base coat, activator, top coat, and brush restorer. The system has everything that you need; all you have to do is pick the color. 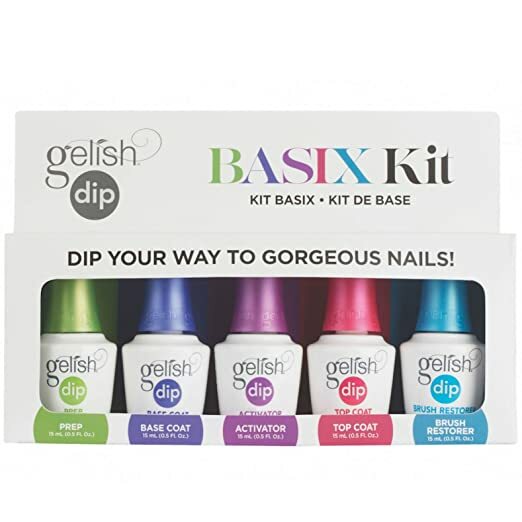 The Gelish Acrylic Powder Color Dip Nail Kit has all you need to create the salon experience in the comfort of your own home. This kit comes with all of the solutions in the kit above but with much more. It also includes with three colors clear as day, good gossip – a sparkly red color, and pink smoothie. A nail surface cleaner, 100 lint-free wipes, 6 replacement brushes, and a 100/180 nail file are all in this kit. This kit truly has everything for salon worthy nails. There are many different ways to remove SNS nails. 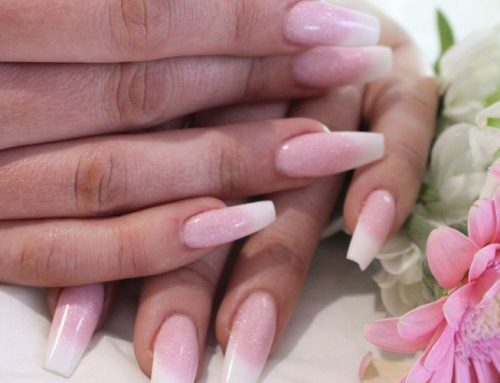 Although our favorite way to remove SNS nails is to use acetone, which is the way it is done in most salons, other methods can also be effective. Step 1: Remove the top layer of the nail by filing it down. You will know you have removed the top layer when you notice that the shine is gone from the nail. By taking this step you are breaking the color’s “seal” and making it much easier to remove. Step 2: Cut 10 small squares of aluminum foil. Each square needs to be large enough to fit around one finger. Step 3: Saturate a cotton ball in acetone. The more acetone, the easier the nail will be removed. Step 4: Place the saturated cotton ball on to the nail and wrap it securely with a piece of aluminum. Repeat steps 1-4 on each nail. Step 5: Let the cotton balls wrapped in aluminum sit on your nails for 10 to 15 minutes. Step 6: Carefully remove the aluminum foil and cotton ball from each nail. Apply pressure to the nail while doing so to remove as much product as possible. TIP: If any product is left on the nail after removing SNS nails, take a cotton ball soaked in acetone and rub in a circular motion over the area that still has product. This step may have to be repeated a few times to remove the product completely. Avoid the urge to pick or scratch at the excess that is left on your nail. This can cause damage to your natural nail, defeating the purpose of getting SNS nails to begin with. It is possible to remove SNS nails with regular nail polish remover. This is because regular nail polish does contain acetone, just not usually in the pure form. Other chemicals, oils, and fragrances may also be found in nail polish removers that are not 100% acetone. These added ingredients are meant to help your nails from drying out. When using regular nail polish remover, you would use the same steps as above. It just takes a longer period of time to dissolve the polish, as it contains less acetone. TIP: Keep your nail tools cleaned and sanitized with alcohol to avoid any possible infection. You can remove the SNS nail system with alcohol. It is possible to use rubbing alcohol, hand sanitizer, even vodka from your home bar to remove your nails polish. To choose which product will be most effective, look for the one with the highest concentration of alcohol. Again, follow the same steps that you would use if you were using acetone. It will take a much longer time. Each layer of your manicure will come off one by one, instead of it all easily gliding away. This is another option that requires patience but has proven successful. The solvents found in a slow drying nail polish that causes the color to dry quicker helps to disintegrate the SNS manicure. This process is done by painting the polish onto the nail and then wipe it away. This will have to be repeated multiple times. Although the process is slow, it can get the job done. As you may know, distilled vinegar is a miracle all-purpose cleaning product. So, it is no surprise that it can help to get rid of your SNS manicure. The acid in distilled vinegar helps to break down the nail system. To use vinegar, soak your nails in the same way as you would with acetone. Be careful because this process can be potentially dangerous on your nails and no one wants that. Vinegar can be destructive to your natural nails. It can cause your nails to dry out and become brittle. Avoid scratching at your nails if you use this method. There have also been reports of brave souls just filing off their manicure, without soaking their nails. This method has a high risk of damage. For this method, you would still need your nail buffer and two different nail files. One with a coarse grit and the other with a fine grit. You want to start by buffing away the shine from your nails, just as with acetone but then you will want to switch to your coarse grit nail file to remove the nail system. Once you notice the nail becoming thin, start filing with your finer grit nail file. This will lower your risk of over filing and potentially damaging your nails. This method takes a lot of patience and extra special care after. There are other ways to remove SNS nails that seem a little crazier. One option is to use a mixture of two parts hydrogen peroxide and one part water. Once the mixture is created, soak your nails and wipe the nail system layer by layer. It weakens the manicure to remove the SNS nails. This method will turn your fingers white. Some have used a mixture of baking soda and toothpaste to scrub away their polish, but we don’t know if we would put our chips on this method. Caring for your nails after removing your SNS nails is essential to give your nails some extra love and care. This will help your nails become more hydrated and stronger. Here are our top tips for keeping your natural nails in their best shape. One thing you should always do to keep your nails hydrated is apply cuticle oil. Cuticle oils are meant to absorb quickly and easily into the nails. You can also keep your nails moisturized with hand creams or other specialty nail creams. Using these moisturizing nail products regularly will maximize the results that you see. If after removing your nails you notice they have become weak, it is best to leave them short. 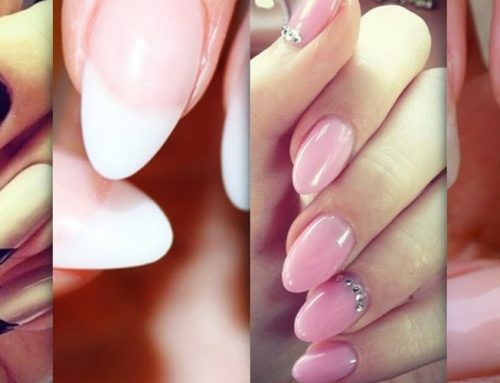 Longer nails that are not healthy have a higher chance of breaking. Noticing your nails are looking really damaged from previous manicures? This can show in peeling, discoloration, or white patches on the nail. Giving your nails a break will help them breathe, grow, and become healthy again. If the problem persists, you may want to see a doctor. There are certain changes that you can make to your diet and lifestyle to ensure that your nails stay healthy and strong. The nails are made of keratin, which is a protein. This means that you can help improve them by making changes to your diet, just as you would your hair or skin. Protein rich foods such as fish, beans, and poultry are great for your nails. Also adding healthy fats to your diet such as coconut oil, hemp seed oil, and avocado oil are also beneficial. Vitamins and supplements like biotin, vitamin E, and fish oil are great to add to your daily routine to keep your nails healthy. They also help your hair and skin too. Just like everything else, drinking water is helpful to your nails. Keeping your body hydrated means that your nails are properly moisturized as well. Want to make your own cuticle treatment at home? Here is a simple way to make your own at home. Combine 2 tablespoons of coconut oil with 1 drop of lavender oil in a small jar. 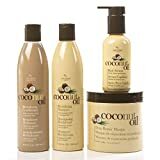 The coconut oil helps to moisturize your nails and skin, while the lavender oil promotes healthy skin and is an anti-inflammatory. How Long Does It Take to Remove SNS Nails? Although each method takes a different amount of time, acetone is the fastest and recommended way to your SNS nails. This process should only take 30 minutes. The other methods can take an hour or longer. Can You Just Refill Your SNS Manicure Instead of Removing and Redoing the Process? The SNS system and other dip powders believe that it is healthier to remove the old manicure, rather than refilling. Why Do I Need A Brush Cleaner with My Kit? The liquid brushes may harden if not cleaned properly. If you don’t have brush cleaner, you can clean your brushes by wiping them clean on a paper towel after your application. Also, during your clean-up proces,s you should wipe the top of each bottle used with acetone on a paper towel. This will prevent the lids of your bottles from getting stuck. How Long Should I Wait Before I Remove My Nails? The nails can last for up to 3 weeks but your natural nails will grow underneath during this time. This is why it is recommended to change your manicure every 2 weeks so you can’t see the new growth. How Do I Stop My Tips from Breaking Off So Easily? When using tips, it is important to use at least 4 coats of powder when using a medium length and 5 coats when using a long length. It is also recommended to use a natural set sealer for extra strength. My Manicure Keeps Turning Yellow and I Have to Change My Set Faster. How Do I Stop This from Happening? Yellowing of the dip powder nails occurs due to UV rays and exposure to bleach cleaning products. Planning to spend a lot of time in the sun? Use a sunscreen top coat to seal and protect your nails. Do you use a lot of bleach cleaning products? Be sure to use gloves while cleaning. This will also prevent your hands from drying out as well. Following the steps and tips above you can expertly apply and remove the SNS nails yourself. You can get salon results all from the comfort of your own home while catching up on your favorite shows or podcasts. You even know how to care for your nails after removing your manicure. Now that you know all of the expert tips, you won’t have to make an extra trip to the nail salon. What is your favorite type of manicure? Let us know in the comments below.